Holliday Technical Services is the servicing arm of Holliday Fielding Hocking ensuring all your servicing needs are carried out to a high standard. Click here to find out more. Unlike many other companies our servicing is carried out by our own team of engineers who are constantly monitored and checked for standards. Fume cupboard maintenance and servicing to BS 7258 part 3, BS EN14175 and current COSHH regulations. Does your laboratory equipment comply with the law? 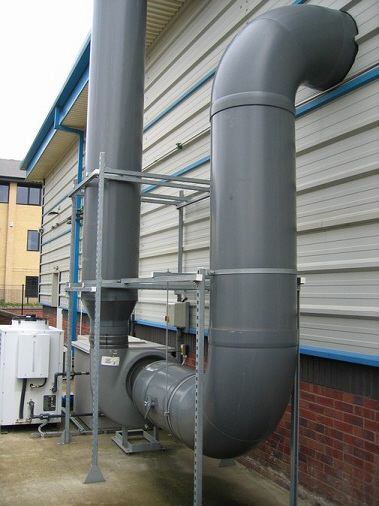 It is required by law (under BS7258 and COSHH Regulation 9) that all fume cupboard and extraction systems are serviced annually. Regular maintenance is essential for legal purposes. It is also the way to ensure trouble free operation and peace of mind. Quality organizations must ensure that time is not lost to faulty equipment. Accidents can be prevented by regular preventative maintenance. Well maintained equipment will work more efficiently and last longer. Holliday Technical Services offers a basic COSHH testing service through to a comprehensive maintenance and servicing agreement to organisations with installed fume cupboards and local exhaust ventilation systems. This facility can be modified and adapted to suit clients' individual requirements. 5-Point Intermediate service visit at 6 months (optional). Priority rapid call out service in case of running failure at any time (optional). Maintenance and servicing agreements is dependant on the requirements of the customer and will vary dependant upon the number and type of installations. Holliday Technical Services engineers are trained to meet all the current legal and safety guidelines.